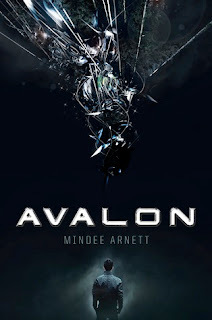 This week, my swoon is from Avalon by Mindee Arnett! Jeth's heartbeat doubled in alarm. This isn't going to work. But a second later, she began to kiss him back. His lips slid open against his, and he breathed her in, savoring the sweet scent and taste of her. Her body softened as she wrapped her arms around his waist. A sudden swell of desire, stronger than any he remembered, rose up in Jeth, muddling his thoughts. He dropped his hands from [redacted]'s face and gripped her hips, pulling her even closer. She leaned into him in response, head tilting farther back. But anyway, I loved this one! I like that he thinks it isn't going to work and then it does. Nice Swoon. I kind of like the cover of this book too. I like the over, a hint of mystery about it. Nice swoon too!! Steamy Swoon!!! I love how she made Jeth realize not only is it going to work, but it's going to be awesome too!!!! I love the cute swoons that turn steamy, starting out with a sweet tender kiss but then growing in passion! Love it! I agree! The best of both, in my opinion. You're welcome! Great swoon! I loved that you took the name out to keep it a surprise :-) Thanks for stopping by mine! Oh yay! I'm glad you loved this Alyssa! I remember seeing on Twitter it started a little slow? Anyways! That swoon was steamy and now I can't wait to start mine! There is definitely a common rough patch, Jess, but I'm sure you'll read and love this one! That swoon was great! I plan on reading this soon and this got me extra excited for it! Great swoon! Why does he think it is not going to work? 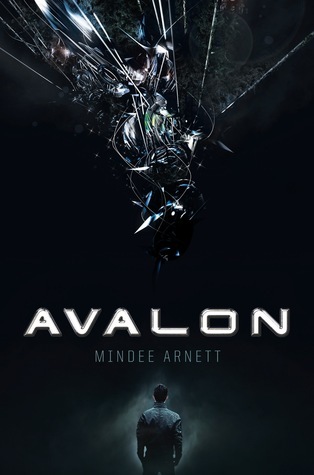 I love Mindee Arnett's other series a lot so I am probably going to have to add this one to the tbr pile. You're welcome - and thank YOU for visiting!